Home » Barkerville » Barkerville admission is “pay what you can” until September 27th! 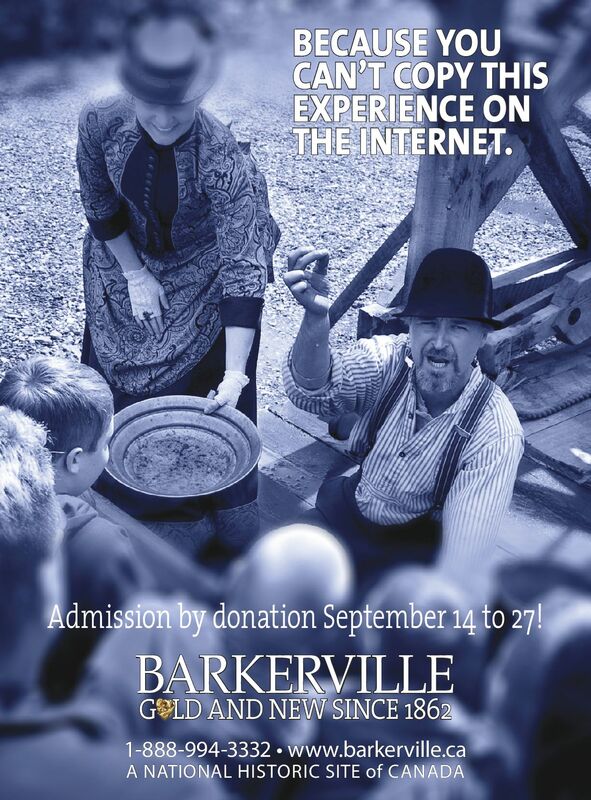 Barkerville admission is “pay what you can” until September 27th! Hey Barkerville Fans! We’re so close to reaching 60,000 visitors this season, that we’ve got an incredible deal for you… from today until the end of September, admission to Barkerville is “pay what you can.” So what are you waiting for? Come be part of our record-breaking season of sesquicentennials! For more information about BC’s Gold Rush Town, please visit www.barkerville.ca.